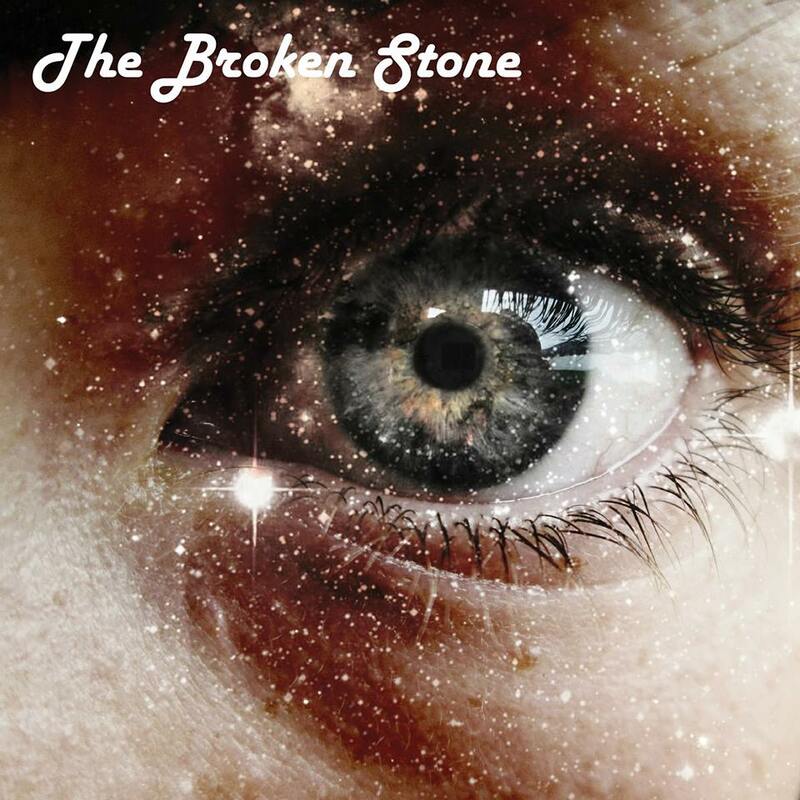 Local Gisborne (New Zealand) band The Broken Stone come rumbling voraciously at you like the rebel offspring of Stevie Ray Vaughan – not content to live in the shadow of their influences, but to break out of the mould completely. The two-piece rhythm section – made up of Lincoln Wright on drums and Ryan Raggett on bass – hold the songs down with tight precision but still allow for a looseness of swing for guitarist Adrian Athy to rip some rock-inspired leads over and vocalist Quannah Nickerson to belt her powerful vocals, providing an excellent tonal contrast to Athy’s accompanying vocals. On this independently produced and released 7 song EP, songs – all credited to Athy – range from the mainstream baiting of opener ‘Through the Glass’, with its Ian Moss vocal-lines pointing the chorus at the charts, and the beer-soaked, wah-wah-drenched ‘Catch My Train’, to the more subdued bar-room low-down of ‘So Right’. ‘Don’t Love You Anymore’ starts off with a standard rock swing and Athy drawling something about wandering about the town wondering why his baby has let him down. When Nickerson enters on vocals, the song picks up and takes this rock 'n' roll swagger directly to the next level. ‘Catch My Train’ continues rolling the swagger out even while giving the bass and drums a chance to groove on their own solo spots mid-way thorugh the song. Nickerson matches it all with a stand-out vocal at the end. ‘Lonely Man’ will get your toes tapping without reservation as you reach for another shot from across the bar – you may even be tempted to leave it behind and jump on the dancefloor instead (if you’re at home while this is playing, you’ll probably want to move the coffee table out of the lounge room first though – words from the wise!). There’s a great shred-inspired lead on this track, but I can’t help feel it’s a little over done; the song may have benefited from a more traditional rip-roaring blues solo. While the recordings lack serious studio polish – no rhythm-guitar overdubs gently bolstering the music from underneath, no layered harmonies – the band feel highly comfortable in their raw sound. Even when ‘So Right’ takes off mid-song, one can’t help but feel that the band’s sound is a perfect representation of what happens in a live setting. For some, that is all they will want to hear – a real band rocking it out on CD; for others it’s not quite enough, as the inconsistent mix lets the songs down occasionally: Kick and snare are never fully realised, while the bass lacks individuality in its recorded sound, tending to soak into the background rather than stand out. It’s a pity as you can hear Raggett occasionally channelling the glories of any number of great blues-rock bassists. Instead the album becomes a showcase for electric guitars and male vocals when it needs to be an even spread of all instruments supporting each other while also being evenly spread across the sound spectrum. ‘Running in the Rain’ does add acoustic guitars to the mix and ends up feeling the most full of all the songs, most of which – at least to these ears – lack additional supporting instruments. It’d be great to hear a light horn section on some of these songs; not in any overbearing way, but to simply add an extra touch of flavour in the background. Either way the songs stand out on their own and will easily grow on you as you find yourself grooving along with the rhythms. Although I think the guitar tone could have had some serious attention paid to it, I like the fact that it stands out as being rough and raw, just like the blues always was. I’m hardly one to talk after all, what with being more or less a ‘plug in and play’ kind of guy. But if there’s one thing that’s bugged me over the years, it’s the fact that clean production has infiltrated even the rough and hardest of genres – can you really say punk is punk with such perfect and pristine guitar tones, vocals so perfectly harmonised that they sound like keyboards? Well, my answer is no! And I don’t care if it’s a moot point when genres are subdividing themselves across the musical spectrum. Blues was always about rawness of emotions, and if there’s one thing that this CD represents, it’s the rawness of a genre that has always been about just getting up and letting it all hang out. And that’s exactly what The Broken Stone does.